Dr. Verheul’s practice works hard to accommodate patients quickly and efficiently. When you need to make an appointment, you’ll be able to see Dr. Verheul the same or next business day. Unlike traditional primary care practices, where you’ll often wait 20 days to see a doctor, Dr. Verheul will attend to your health concerns quickly, before a small issue develops into something more serious. Dr. Verheul has limited the size of his personalized care program, meaning he has the time and availability to work closely with his patients, attending to their healthcare needs. This increased patient-doctor interaction is important when diagnosing and treating illness and identifying any factors that may lead to a future health problem. 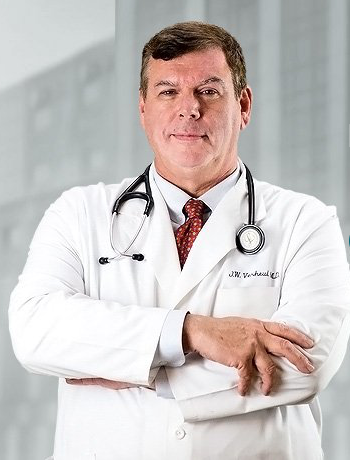 To help patients take advantage of all the benefits that this higher level of healthcare has to offer, Dr. Verheul has partnered with personalized medicine experts, SignatureMD (hyperlink – http://signaturemd.com)SignatureMD and Dr. Verheul are working together to ensure you receive the finest in personalized care. Dr. Verheul offers a limited number of memberships to his personalized care program. By doing so, Dr. Verheul ensures that each member receives his undivided attention and care. In addition to expedited appointment scheduling, program members are guaranteed to receive on-time appointments. Furthermore Dr. Verheul will allocate the time necessary to ensure that all of your concerns are addressed and that you walk out of the appointment feeling unrushed and satisfied. Dr. Verheul’s dedicated personalized care services representative is available to assist program members and coordinate the administrative aspects of Dr. Verheul’s personalized care practice. Dr. Verheul or his designated physician will be available promptly to personally communicate with you as a program member by telephone or email—even for non-emergency issues. The response time and the method of communication will be appropriate to the purpose of the communications. Dr. Verheul will be available to care for his program members’ visiting friends and family should they need to see a physician while in the area. Below is a list of insurance providers that Dr. Verheul is currently contracted with as an in-network participant. Though Dr. Verheul is contracted with these companies, patients should please call their respective insurance member services line to verify in-network participation. Should you have any questions, please feel free to call the office at (804) 423-9919. Click HERE to visit our SMD website.